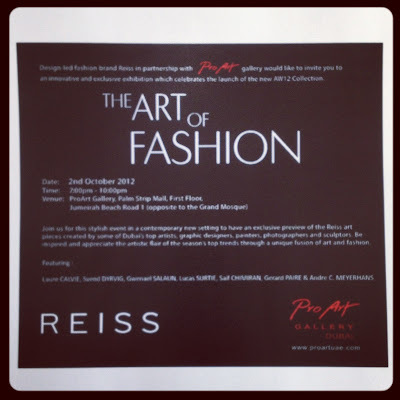 If you are free tonight, pass by the ProArt Gallery to discover the new Fall/Winter 2012 Reiss collection. The brand decided to associate with Artists Laure Calvie, Svend Dyrvig, Gwenael Salaun, Lucas Surtie, Saif Chimiran, Gerard Paire and André C. Meyerhans and asked them to play around the most iconic pieces of the collection. 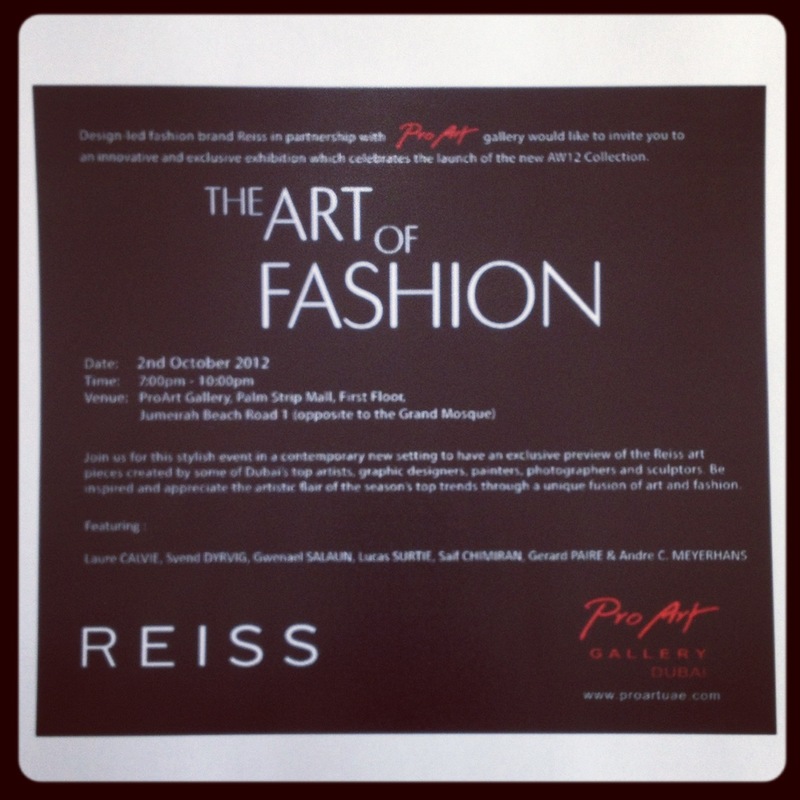 Come enjoy a sip on Art with a hint of Fashion! For more information, have a look at their Facebook event here.